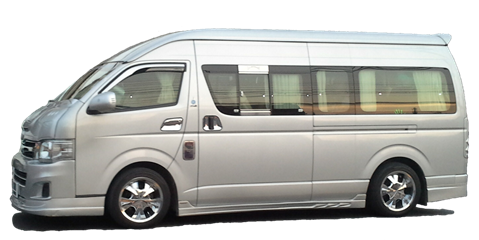 Your private driver will be at your disposal 24/24, we offer 3 types of driver to fit all families. 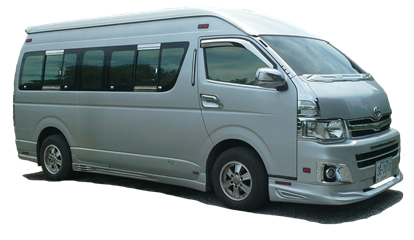 We offer the rental of a VIP van with a private driver at your disposal 24/24 in Thailand. It takes you where you want, depending on your program. 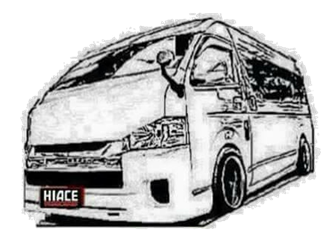 In our concept you rent the services of a private driver and his van vehicle and you adjust your fuel at the station. 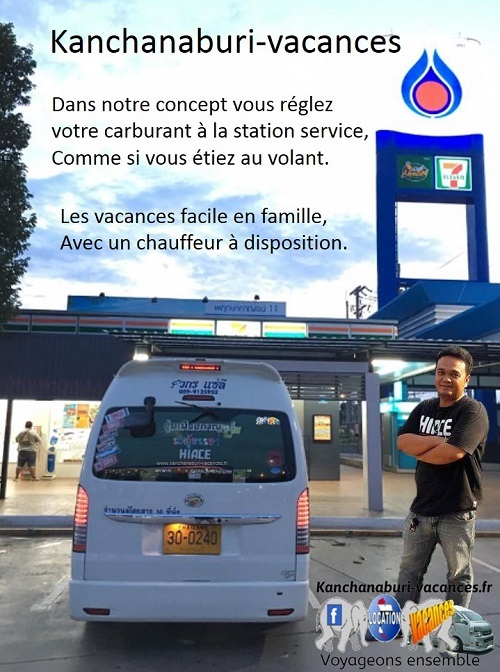 Rent the services of a private driver available 24/24 with a car, van in Thailand, you set your fuel at the gas station. 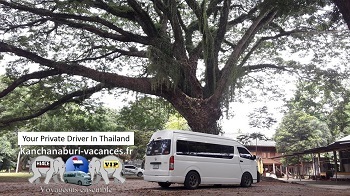 We provide you a phone with free internet connection with the rental driver private in Thailand, to reach us very easily. The fuel is your responsibility in its entirety. You will have full fuel at your hotel, you will have to return the vehicle with full fuel. You settle at the gas station as if you were driving. 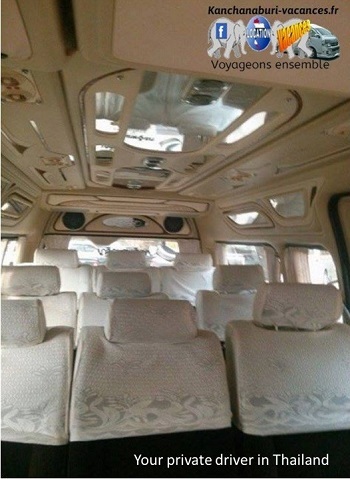 Our van are for 9 passengers with luggage and suitcases. 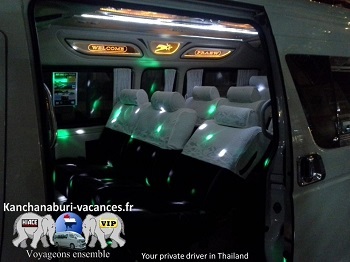 Comfortable VIP van for traveling in Thailand. - You can not travel more than 550 km per day, or 7:30 maximum. - You will have to take a break every 2h30, to relax and even for your driver. Take advantage of this break to visit . (Temple or other). - When you return to your hotel after a good day of sightseeing to take a shower, let your driver go to take his, to be fresh and available to drive you at night. 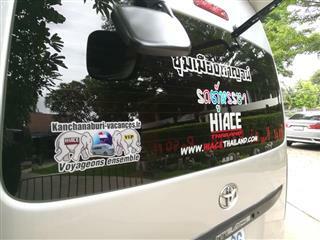 In case of cancellation on your part, during your rental, Kanchanaburi-vacances will not refund the canceled day. Except in case of force majeure. - The cost of fishing , your driver will give you the bills in the evening, you will just have to pay it back. In the sins, we must act quickly. Your driver will have extra charge. - The car parks , your driver will give you parking tickets in the evening. He's doing everything so you do not waste time. - The fuel in its entirety : To repay to your driver his fuel for his outbound trip, to come to welcome you. As for his return trip alone. And your consumption during your stay. We require a deposit via paypal, which you can pay directly by card. 400 Thb paypal fees are added to your bill.